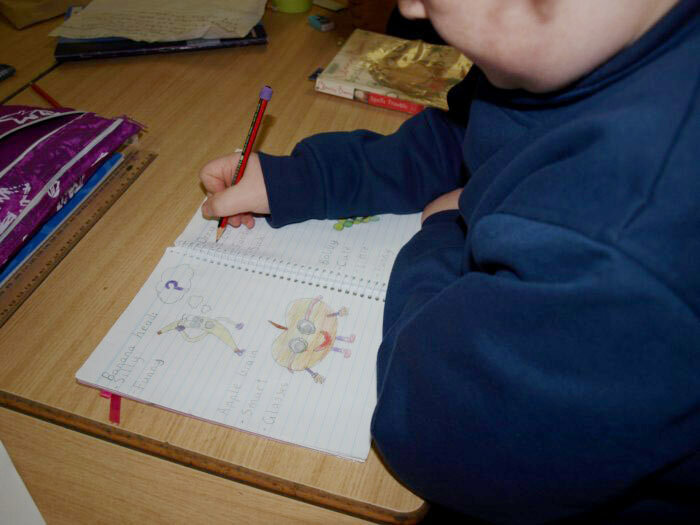 The grade three students at Roxburgh Homestead have been committed to improving their learning capacity this year. A new and exciting writing program has been introduced where each student has been given the opportunity to create their own Writer’s Notebook. This writing tool has become a place for students to “grow” ideas, record memories and develop their writing craft. During our unit on Forces, grade three students have had the opportunity to explore and investigate concepts that have intrigued and fascinated their minds. The central focus, ‘What are Forces?’ saw the students undertake a variety of activities including the construction of vehicles that they had to launch from their own ramp. This gave them the chance to recognise key concepts such as speeding up, slowing down and changing direction whilst also developing an understanding of how pushes and pulls can affect objects. Students also got to venture into their school environment and discover how gravity was acting on everything around them. They explored their playground and learnt of the frictional forces that existed there and how this could change and be impacted by certain variances such as smooth and rough surfaces. Finally we looked at forces of nature, giving the students a chance to consider wind forces, moving water and molten lava. During this section of the unit, students built a “spinner” and a balloon “rocket” to explore how wind could affect the way things moved. Term 4 welcomes another exciting unit, Endangered Species, where the Grade 3 students will learn about what living things need to survive, and other factors that can affect their survival. Students will be researching animals and plants that are endangered, threatened and extinct and will also learn how they can affect the survival of other living things.